When this Pokémon is attacked, flip a coin. 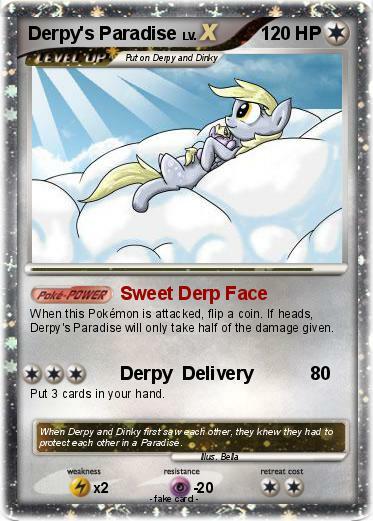 If heads, Derpy's Paradise will only take half of the damage given. Put 3 cards in your hand. Comments : When Derpy and Dinky first saw each other, they knew they had to protect each other in a Paradise.